The Second Meeting of Central Bank Technicians of the American Continent, convened in Santiago in December 1949, adopted a proposal to establish a teaching and research institute in Latin America for the exchange of information among monetary authorities, and set up a Committee for its establishment. The Committee's recommendations were discussed at the Third Meeting of Central Bank Technicians in Havana, February-March 1952, and by-laws and general purposes of a Center for Latin American Monetary Studies (CEMLA) were approved. CEMLA was officially established in September 1952. To inform on developments in regional and international monetary and financial policy issues. The Center is formed by 53 institutions; 30 of which are associated members with the right to vote at the CEMLA's Assembly. The budget is provided through annual contributions of the associated members and collaborators. In the past, it's been possible to develop specific projects thanks to the participation of the International Monetary Fund, the Inter-American Development Bank, the Ford Foundation, the International Development Agency (USA) and the Rockefeller Foundation, through their financial assistance. Besides the associated and collaborator members, many other banking and international organizations cooperates through the participation of their technical personnel in conferences, seminars and courses or serving as advisers. This is the case of the Bank for International Settlements, the Bank of England, The World Bank and the Economic Commission for Latin America and the Caribbean (UN), among others. The Assembly, comprised of all members, regularly holds two annual meetings or whenever necessary. The Board of Governors composed by Bank of Mexico, with a permanent seat as the host country, and four other members elected by the Assembly on a rotating basis for four-year terms. The Director-General is elected by the Assembly for five-year terms and is the administrative and technical head of the Center. The Board of Governors designates the Deputy Director-General for five-year terms. Both are assisted by a small number of permanent technical staff. The audit is conducted by a consulting firm. The organizational structure of the Centre is divided into managements and coordinations. Training Division performs the technical and administrative tasks implied in the organization of the training programs held at CEMLA´s headquarters or outside Mexico. It also carries out the necessary arrangements to satisfy applications concerning residence in CEMLA and exchange of officials presented by its Associate and Collaborating Institutions. Technical Meetings Division: In addition to organizing regular meetings of the various technical areas of the associated central banks, acts as technical secretariat of the meetings of the committees established central banking. Economic Research Division: It is responsible for the work of analysis and research in economic and financial areas are performed at the Centre. Infrastructure and Financial Markets Division: Administrative unit that is permanently responsible for the technical secretariat of the Working Group on Payment System Issues of Latin America and the Caribbean, which is the only technical forum of its kind in the region for the generation and discussion of knowledge, recommendations and best practices among design, regulation and operation of payment systems and other financial infrastructure in the central banks of the region. Economic Statistics Division: It is responsible for the courses and seminars on issues of economic statistics, including the issue of remittances. Information Services Division: This includes three activities directly related to the products and information services provided to members of CEMLA: publications, library and electronic media (websites, e-mail and social networks). Administration and Finance Division: Performs administrative tasks, including relevant aspects of the management of the Retirement Plan and the relationship with the auditors. IT Systems Division: Performs the work associated technical support and IT development of the Center. The Technical Assistance Programs are aimed at supplying analysis and integrated technical support in given areas. These programs are generally financed in part with extra-budgetary resources, and are ministered in cooperation with specialized organizations and experts. Public Debt Programs Coordination provides specific capacity building support on public debt management and analysis to lower middle income countries of Latin America and the Caribbean, as requested, in order to maintain debt sustainability. This is undertaken through the design and implementation of better national debt and financing strategies, and the provision of more effective responses to the impact of the financial crises. 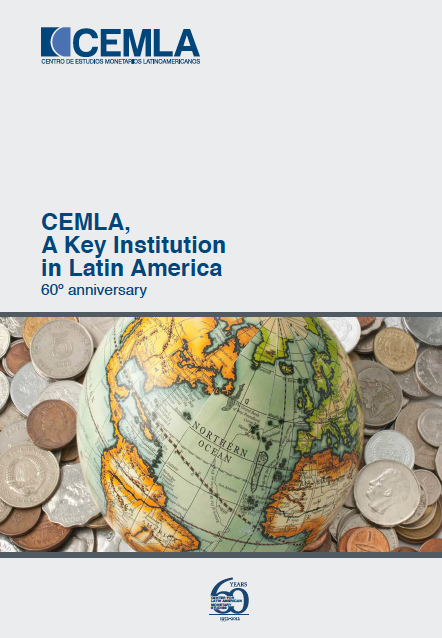 During the last fifteen years, CEMLA has actively worked in issues related to public debt management and analysis, achieving a reputation and international recognition. The latter has set the ground for the Coordination to manage two programs: The Public Debt Management Capacity Building Program (PDP), and the Debt Management Facility (DMF). The first, is a program designed in house by the Public Debt Programs Coordination and is funded by the Swiss State Secretariat for Economic Affairs (SECO). The second, is a program lead by the World Bank, of which CEMLA is an implementing partner for Latin America and the Caribbean.